And when you look at the other benefits, it’s not hard to be sold on the concept. Regular exercise protects you from heart disease, reduces your risk of heart failure and can even reverse heart damage. It cuts your chances of obesity, diabetes, dementia, chronic fatigue syndrome and increases your lifespan. It’s great for promoting a positive mood, warding off depression and enhancing your general level of happiness. This makes exercise one of your #1 weapons against disease, premature aging and death. I personally recommend high-intensity-interval training, or HIIT. This type of training only takes about 15 minutes a day and is extremely effective. For example, a high intensity workout might start with a two-minute jog followed by a one-minute sprint – then back to a jog followed by another one-minute sprint. This is repeated four to six times. You can apply the same concept to other forms of exercise, such as squats, push-ups, lunges, bicycling and so forth. Just start off at an easy-to-moderate level, follow it up with a full burst of intensity, then drop back to recovery level or take a short rest period. But I find some patients are unable to achieve high intensity. Excess weight, joint problems, heart concerns, muscle loss and other health issues interfere with their ability to sustain even short bursts of all-out effort. At the same time, exercise is exactly what these people need to help manage, and even reverse the conditions that make physical activity so difficult to start with. The great news is that I have three other, less strenuous exercise options available for folks who fall into this category. For patients who have been sedentary and are just starting a new fitness routine, I often recommend low-intensity-interval training, or LIIT. It’s similar to HIIT, but much less intense. For example, in a LIIT scenario a jog/sprint would be scaled back to a walk/jog… or even a walk/fast-walk. Instead of two minute rest or recovery periods, they might stretch out to four or five minutes. And like HIIT, it can be applied to many other exercises. Some great low intensity activities almost anyone can participate in include planks, bridges and chair dips. The only drawback to this type of activity is that it takes about twice as long as a HIIT workout to get the same results. This means a good half hour of your time. But it doesn’t have to stay that way. I find that dedicated patients who stick with LIIT often “graduate” to 15-minute HIIT workouts in a matter of weeks. It doesn’t take much time to turn them from scrawny to brawny! You can also work in some low-intensity-steady-state activity, or LISS. Despite the fancy name and acronym, LISS is really nothing more than low-to-moderate intensity cardio exercise. In other words, just go for a good 45 minute walk or swim or take a bike ride, bike helmet included. While cardio doesn’t offer as many health benefits as more intense forms of exercise, it’s much less strenuous. And it’s one of the easiest ways to get moving for individuals who have health issues. To top it off, it’s a pleasant way to walk through a park or spend a day at the beach. Better yet, cardio can provide the foundation for progressing toward more strenuous exercises down the road. I’ve seen many of my own patients advance from LISS to LIIT and then on to HIIT in just a couple of months. They absolutely love the feeling of control, empowerment and independence that comes with it! And while it’s not quite on the same spectrum, I absolutely have to recommend aquatic exercises to anyone with arthritic knees, bad hips and those who struggle with obesity. It is extremely low impact but can still produce phenomenal health benefits. All you need is access to a swimming pool, lake or ocean. The water keeps you buoyant, which reduces the impact on your joints. So you can jog in place, perform jumping jacks or just swim without putting any wear and tear on your joints. You can even apply the concepts of HIIT, LIIT and LISS to your aquatic activities. Exercise cuts risk of chronic disease in older adults. News Release. Westmead Institute for Medical Research. July 2018. 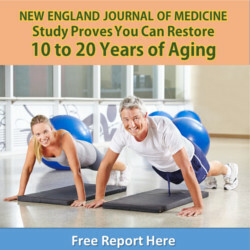 Proper exercise can reverse damage from heart aging. News Release. UT Southwestern Medical Center. Jan 2018. Khazaee-Pool M, et al. 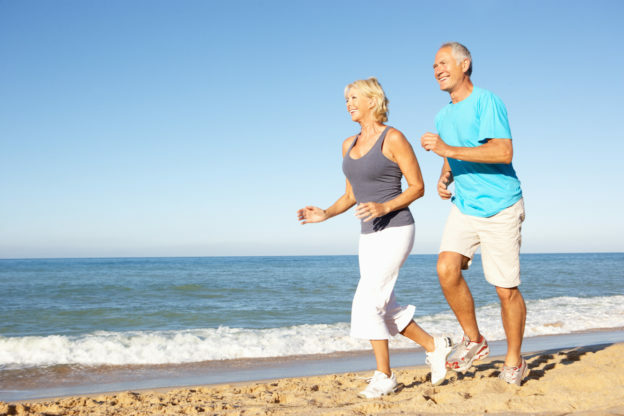 Effects of physical exercise programme on happiness among older people. J Psychiatr Ment Health Nurs. 2015 Feb;22(1):47-57.